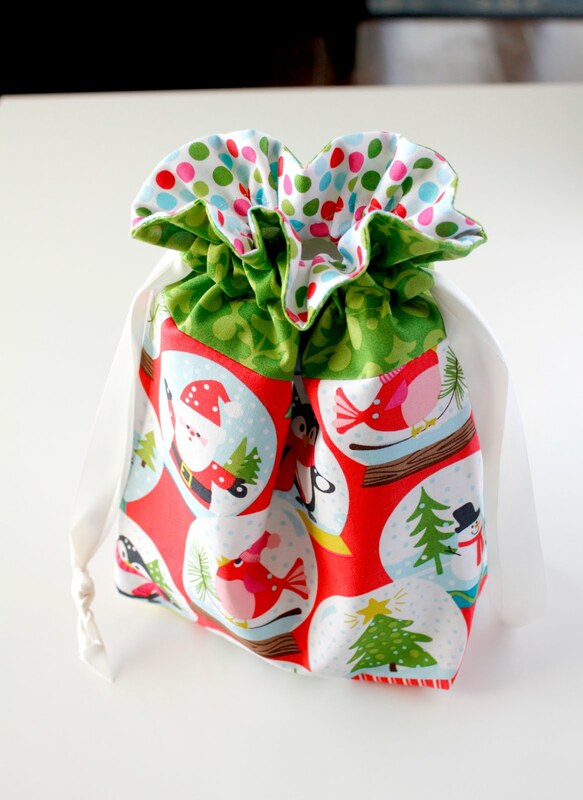 This week I've been making these fun lined drawstring bags. They're quick to whip up, perfect for gift-giving, and addicting to make. 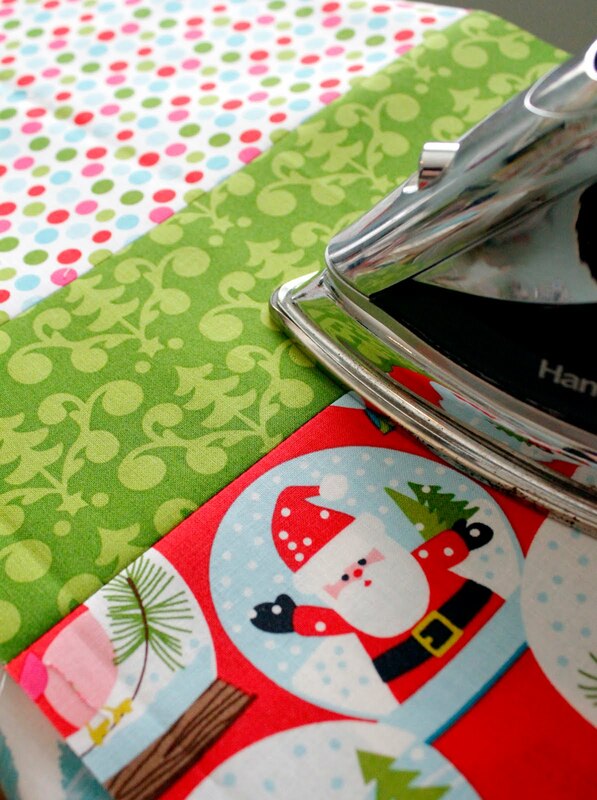 I love getting my first peek at the new Christmas fabrics each year, and then thinking up all the fun projects I want to make. (Sometimes they get done before Christmas, and sometimes not.) 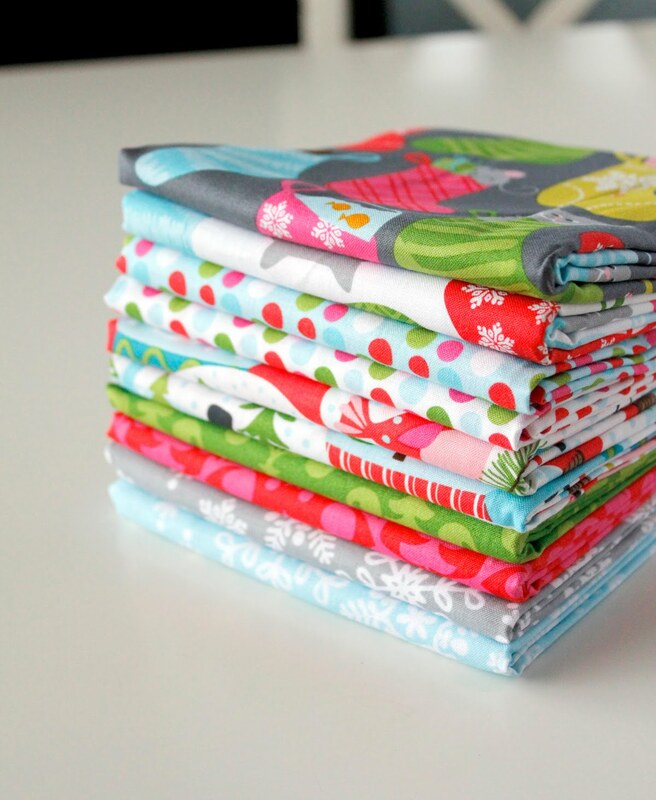 This stack is from Blend fabrics - it's a line called Even a Mouse, designed by Maude Asbury. 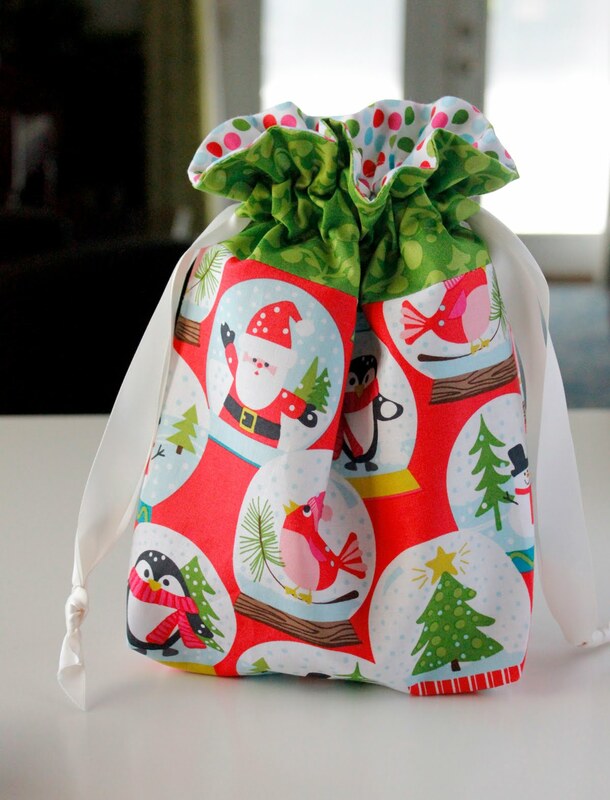 I'm a sucker for fun, bright colors when it comes to Christmas, and I thought this snow globe print (shown below) was perfect for the outside of the bag. The tutorial makes this one size bag, but if you'd like instructions for a variety of sizes, Jeni also sells a pattern for the Lined Drawstring Bag here and the pattern includes 8 different bag sizes that range from 4" tall to 26" tall! I love the details she adds to the bag - like how the lining peeks through at the top, and the use of the double drawstring. 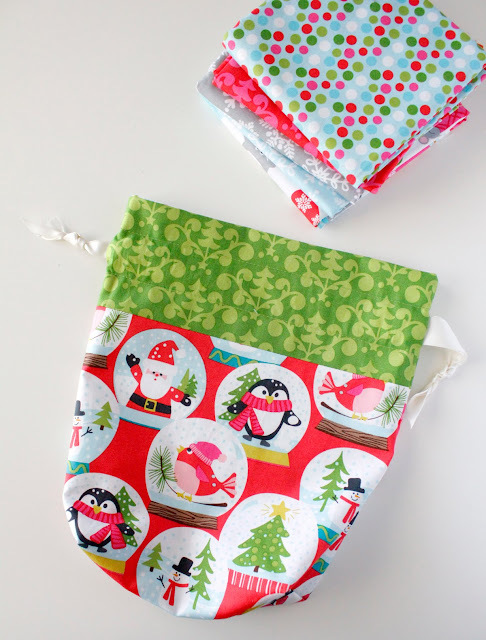 I know I'll be making more of these fun bags! 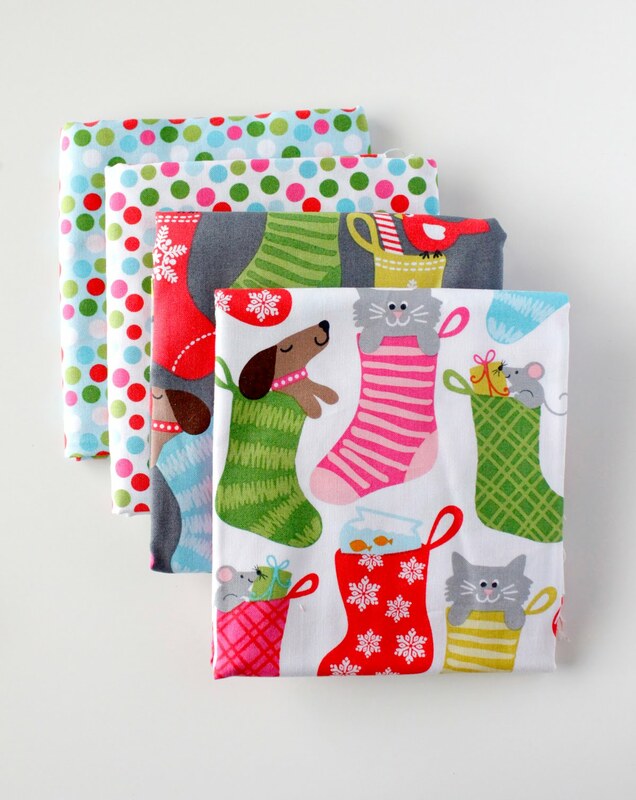 You can see more of the Even a Mouse fabric line here on the Blend Fabrics website. They should be shipping to stores this month! Wow, that one is darling. Adorable! I made a bunch of drawstring bags a while back and have been slowly giving them away for one reason or another. They are super handy to have on hand for gifts that unexpectedly crop up! I like this bag. looking so colorful. thanks for sharing.